Rebecca Romijn interviews the Backstreet Boys (in Dolce and Gabbana) on the red carpet at the 1999 MTV Video Music Awards. Model and 'House of Style' correspondent Niki Taylor interviews musician Wyclef Jean on the red carpet at the 1999 MTV Video Music Awards. 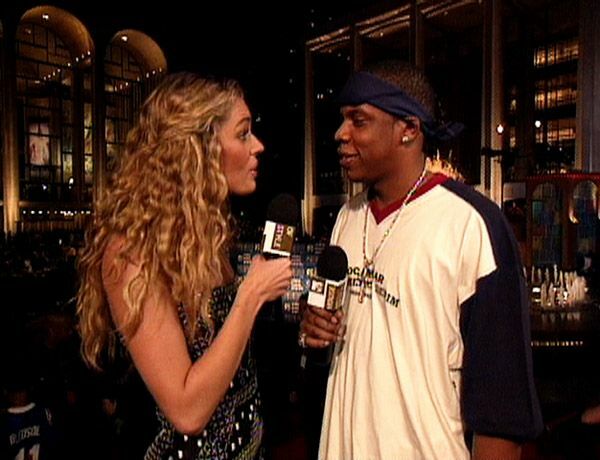 Rebecca Romijn interviews rapper Jay-Z (in Rocawear) on the red carpet at the 1999 MTV Video Music Awards. 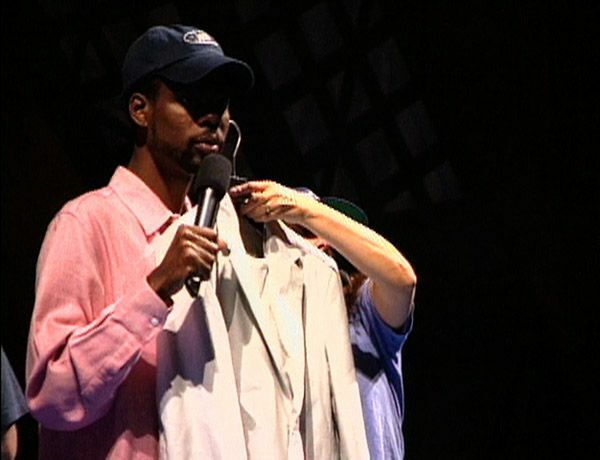 Comedian Chris Rock picks out his outfit to host the 1999 MTV Video Music Awards. 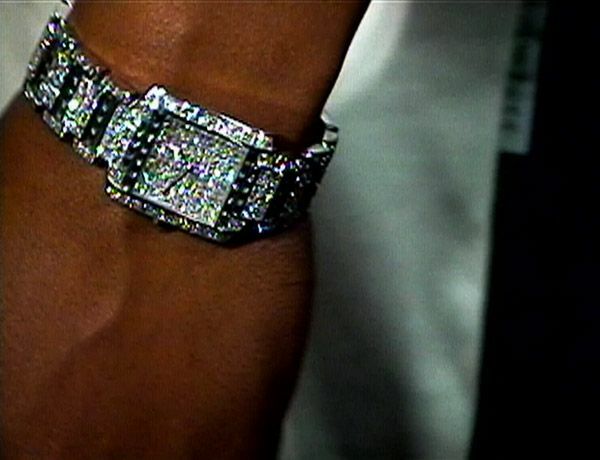 Stylist Amanda Sanders picks out Chris Rock's outfit to host the 1999 MTV Video Music Awards. 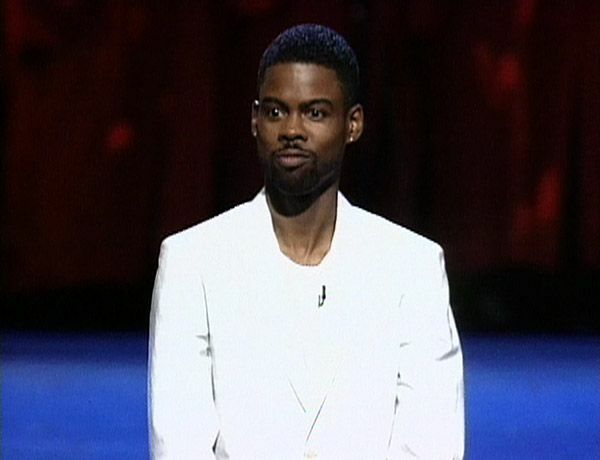 Comedian Chris Rock (in Calvin Klein) hosts the 1999 MTV Video Music Awards. Rebecca Romijn interviews singer Ricky Martin (in Giorgio Armani) on the red carpet at the 1999 MTV Video Music Awards. Model and 'House of Style' correspondent Niki Taylor interviews musician Moby (in a gold suit) on the red carpet at the 1999 MTV Video Music Awards. 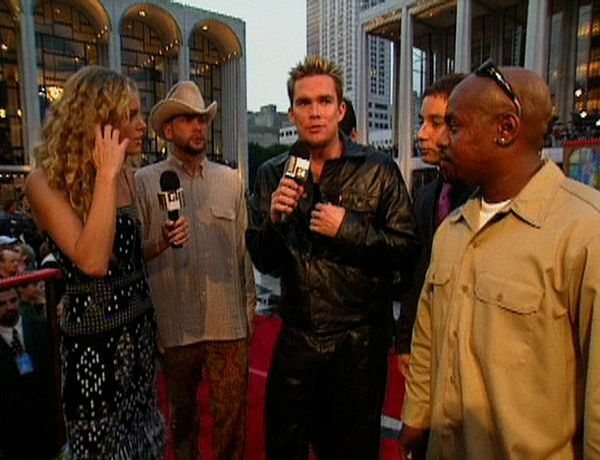 Rebecca Romijn interviews Mark McGrath and Sugar Ray on the red carpet at the 1999 MTV Video Music Awards. 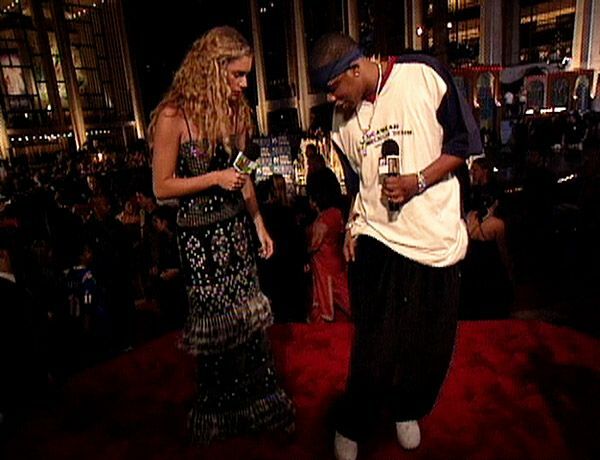 Rebecca Romijn interviews rapper Lil Kim (in a onesie boobie outfit) on the red carpet at the 1999 MTV Video Music Awards. Rapper Lil Kim's onesie boobie outfit at the 1999 MTV Video Music Awards. Rebecca Romijn interviews designer Donatella Versace on the red carpet at the 1999 MTV Video Music Awards. Actor Freddie Prinze Jr. at the 1999 MTV Video Music Awards.